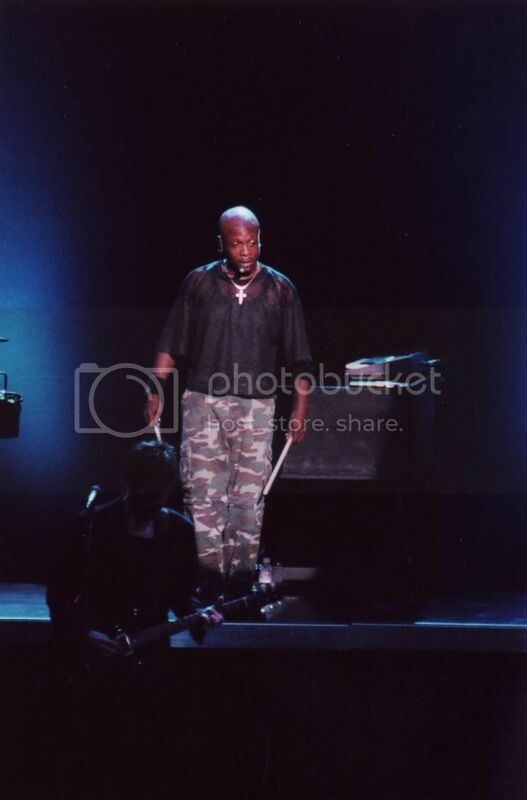 Live performances included hyped up fresh versions of old classics such as “Lonely Ol’ Night,” “Crumblin’ Down,” and “Pink Houses.” MOE Z MD used his outstanding vocal range as well as his diverse and wide range of musical and studio knowledge to help John during that period. This article takes a look back at that time and talks with the man who ignited a spark into songs that have been played for years as well as new creative music being heard by Mellencamp fans for the first time. “I had been producing Tupac Shakur, and John was looking for Dr. Dre. He had called his manager Harry Sandler, who hooked up with my publisher Larry Robinson, and he asked him how to get in touch with Dr. Dre. Larry was like, why do you want to get in touch with Dr. Dre for John Mellencamp? “He explained that John was doing a new thing and was wanting to hook up with Dre and try to create this vibe. Larry explained that it was going to cost a ton of money, Dre gets like a million a song,” he explained. Robinson told Sandler that he knew of a guy who was real hot producer and in fact, had learned some stuff from Dre, and has some of the same styles. Sandler said that sounded good and wanted to talk to him. “He asked me why I brought all this stuff with me and I explained that they told me he wanted me to produce him. He started laughing and got a good laugh out of it. So he said ‘let’s see what you can do with it’ and we started putting this song together, started playing it. We separated it and starting coming up with things we thought would go well with it. I’m in the corner with my drum machine and keyboards. They are playing guitars, and we’re just creating vibe. So they started recording parts and I started laying my stuff down and added extra things, keyboards and samples and scratches and stuff. I added background vocals as well. He was like ‘wow man, this came out great. Let’s just mix it and see where it goes from here. “He was like, what would you think about going on tour with us, and I was like, ‘yeah, I would love to, I’m cool with it.’ I didn’t hear from him for like six months, and I figured awe, he isn’t going to do it. Then they hit me up and say alright we’re going on tour in two months and we need to fly you in for rehearsal. I was like whoa…life is changing for me. Rehearsals were like three weeks long and every day. Rehearsals went well for MOE Z MD and the band. He has a lot of background in many musical genres and was able to incorporate new and different things into many of John’s songs that had been played for so many years before. One of Mellencamp’s hits from the 80’s that fans noticed MOE on immediately during the live shows was “Lonely Ol’ Night” for John’s 1985 ‘Scarecrow’ album. 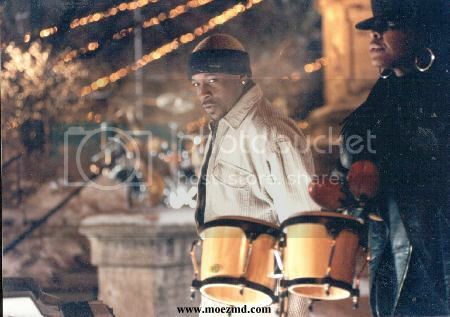 MOE’s contributions to the live version of that song nearly a decade later gave the song new life with background vocals that he added. “A lot of Mellencamp’s songs that I was familiar with, Patty (Peterson) and Crystal (Taliafero)…and even Mike Wanchic’s vocals were real instrumental in what the vibe was. So when I caught the vibe, I really caught what they were doing, and my voice was higher, so I was able to sing stuff that Mike sang when he was young and he couldn’t do it anymore,” he explained. He said that John loved it because he could hit the high notes, but he felt a couple times in the beginning that Pat Peterson might have been a little frustrated by it. “I wasn’t trying to take her part on anything because she was the queen,” he said with a laugh. MOE talked about the creating process on John’s 1999 self titled ‘John Mellencamp’ album. “It was interesting because he had the songs, but we (the band members) would like do our own perspective on them. We would sit in the corner and think about how we would approach putting stuff on it. He let us be a little more creative on it, and even write stuff on it. Andy (York) wrote a song, Toby wrote a song and I wrote a song on there too,” he said. MOE Z MD has writing credits along with Mellencamp and George Green on the song “Break Me Off Some” off that album. “He was letting us experiment with different sounds. Dane (Clark) and I went into the studio by ourselves for like a week just to create beats and he would write songs over them. Or he would give us songs and we would put stuff to it. The thing that sticks with me is from the time I got there until the time I left, which was a six year period, the range of albums and changes in sound were incredible. In fact, we did ‘The Best That I Could Do’ and ‘Rough Harvest’ back to back within like three weeks of each other. They were completely different. We even had to dress different. When we did ‘Rough Harvest’ we would have to come to the studio in suits every day. They would take pictures. You know how the Beatles would have always have cool pictures and stuff. We would have to do that. There were always little challenges and things to keep us interested. 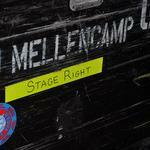 MOE Z MD was with Mellencamp from 1996 to 2002, which covered the ‘Mr. Happy Go Lucky’ album through ‘Cuttin’ Heads’ albums, with ‘The Best That I Could Do’, ‘John Mellencamp’, and ‘Rough Harvest’ in between. “After I left the band I even came back and played on “Walk Tall” and Babyface played organ on that. He was cool about that. Whenever he worked with cool people he would bring me in. I thought that was really cool,” he said. “It’s funny because my main background element isn’t really hip hop, but it’s funk. So Jon E. Gee and I were like kindred spirits because he loves funk and I do to. I was able to adapt to different styles though. I grew up playing gospel and I even played a little rock. I had a funk band, and then I started producing pop music. I learned hip hop on a dare. I have a friend who raps and he asked me if I could do something for him, and I was able to do it,” he explained. But with his background being so diverse musically, MOE explains that this is why he’s not a huge hip hop fan. “There is a lot of hip hop I love, but I love so much other music,” he added. He plays drums, bass, guitar, keyboards, saxophone and trumpet. He has had the opportunity to sing background for Earth, Wind & Fire, and on Phillip Bailey’s solo gospel album. He has also worked with gospel singer Edwin Hawkins. He said he doesn’t really prefer one part of the music over the other. When it comes to performing live, producing in the studio or engineering, he said he loves them all the same. “No matter what project I’m involved in, I’m always listening and helping correct parts. I listen to every instrument to make sure everything is flowing in the right direction. I enjoy all that stuff and I have the ability to excel in it. People tend to listen to me,” he said. While with Mellencamp, he said his favorite song he worked on with John and the band was “This May Not Be The End Of The World” off of the ‘Mr. Happy Go Lucky’ album. It was mainly because of the energy. The energy changed after that. After Kenny (Aronoff) left the band we had to get Dane, and the whole energy just changed and the studio was more tense because it was like, trying to establish Dane’s sound and trying to get away from Kenny’s sound,” he explained. “We didn’t want it to sound mousy either. So it was kind of tense. MOE’s last tour with Mellencamp was the ‘Cuttin’ Heads’ tour. The Wallflowers opened for John and the band on that tour. “So while they were opening up for us, they were also recording demos for their album ‘Red Letter Days’. I used to hang out with them, and do harmony parts with them and sing background parts for their demos. They took it to the record label and they wanted me to sing on the album. I came out and sang on the album, and then they asked me to go on tour.” He was with the Wallflowers for about eight or nine months. Tupac had listened to what we had done in the studio and said ‘whoa, who’s that,’ and they told him it was MOE Z MD. He said they called him up and told him they wanted him to come down and do remixes on three cuts. They had the vocals on there and just wanted him to change the music. “So I did that, and I did this song “From The Cradle To The Grave.”” He said they did it on a Friday, and they gave it to Tupac on a Monday, and they told me they wanted me to be in the studio in New York on Wednesday. It was like that fast,” he said. MOE got there to work on a song called “Outlaw.” “The day I met him he came in the studio and he was pumped up and he was like, ‘man that song is so hot, I’m going to make that the album version, not a remix, because I love it,” he said. He explained that the problem was the contract listed what MOE did as a remix, and not the album track, so he didn’t get the publishing money for it. “That hook was my hook and I made the music. Then on the album credits it says that it was produced by Tupac and Syke, and noted that it was mixed by MOE Z. “To me he was real creative lyrically. We worked together on how the hooks should go. We just worked close together. Sometimes I would beat him to the studio in the mornings and he would call and say ‘what’s up MOE Z, I stayed out too late last night, and I’d be like ‘ah come on, we’re already in the studio, you can make it.’ We were real close like that. I was one of his favorite producers,” he explained. MOE said that he was devastated when Tupac died. “I was in Germany with John (on tour). The first time he got shot and didn’t die, I was supposed to be at that studio session and didn’t make it because I had another session I had to be at out here in L.A. He didn’t die, so when he got shot again, I just figured he wasn’t going to die. And so, it was devastating to find out that he really did. And that’s all he talked about when I was with him. He talked about dying, and how this world and all this stuff that in the world was…(bad). He was just real down. There was nothing uplifting. He got to where he was just talking about death. ‘I see death around the corner’ and all that stuff. MOE Z said he thinks Tupac knew he probably wasn’t going to live to be an old man. MOE Z MD spends a lot of time producing and creating hooks for artists. He does play out live at three different churches in Long Beach. He actually is mentioned on a Snoop Dogg song “Take Me.” Snoop actually talks in the beginning of it me a shout out, referring to me as Moe Z Starr. MOE had the opportunity to meet Michael Jackson. “Michael Jackson actually hired me to be one of his producers for his album he was about to work on after the ‘This Is It’ tour. So I was writing songs for a whole year, sending him demos and everything. One day I’m going to Church’s Chicken and I hear (on the radio) that Michael Jackson died. I’m like ‘oh my God.’ This was my comeback and he died,” he said. “I’m doing a lot of things musically right now. I’m working with a lot of up and coming artists and have artists that have been out there like OG Domino, a rapper from Long Beach. 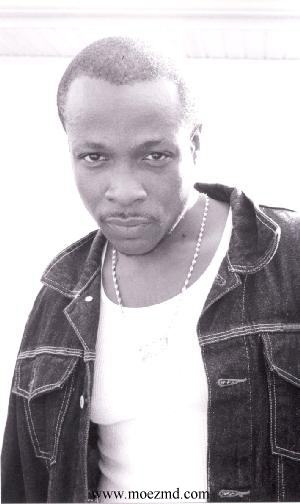 In the early 90’s he was one of the pioneers with Snoop and all those guys. So I worked on an album with him, but it’s a gospel album. So he’s coming from a different perspective on that. It’s really good to because it’s not like your regular gospel album, it sounds like the street (musically) but what he’s talking about…you’re like ‘alright, that’s cool.’” Moe is playing on the album along with producing it and engineering it. The CD is titled ‘Get It Right’ and should be out soon.